A special 2014 Fiat 500L Beats Edition has been announced recently. The project is a collaboration between FIAT and Beats By Dr. Dre. The special edition Fiat 500L Beats will have two new 120 HP engines - one petrol and one diesel, which are also available across the 500L range. 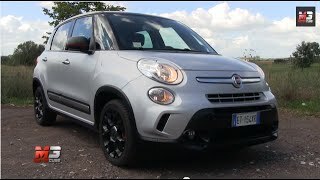 The new FIAT 500L Beats Edition blends cutting-edge technology with a cool, urban look, combining the chunky go-anywhere styling of the 500L Trekking with an eye-catching, two-tone, grey/black colour scheme finished in a choice of gloss and matte finishes. Further styling enhancements include 17-inch alloy wheels, wheel arch extensions, side skirts and bumper inserts, all finished in black, as well as mirror fairings, front "whiskers" and the tailgate handle in satin chrome. Red brake callipers and red inserts in the mirror fairings complete the distinctive "Beats" look. 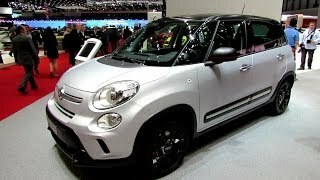 The interior of the FIAT 500L Beats Edition has also been enhanced with automatic dual-zone climate control as standard, as well as a matte-grey dashboard panel and a Total Black interior pack which includes special black fabric/eco-leather seat upholstery complete with red, embroidered '500' logos on the front backrests. 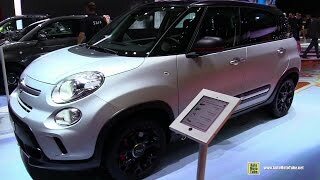 Pricing and final specification details will be announced closer to the UK launch of the FIAT 500L Beats Edition in mid-March 2014.